than just a career choice. for the health and healing of an animal. 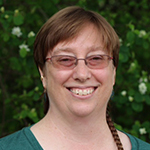 Dr. Gulbransen received her BSc in Biology from UC Davis in 1989. Following graduation, she attended Washington State University and received a Master in Education in 1991. She completed her DVM degree at WSU in 1995. 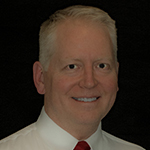 Dr. Gulbransen is Medical Director at Banfield Hospitals for the state of Washington. Previously, she was the owner of Animal Hospital of Omak from 1998 – 2009. A dedicated caregiver, her passion is teaching others about balance and happiness, especially the new generation. 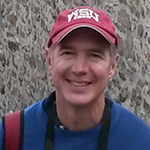 Dr. Marshall (WSU, 1989) focuses solely on caring for feline patients at Island Cats Veterinary Hospital, the clinic he started on Mercer Island, Washington in 1996. 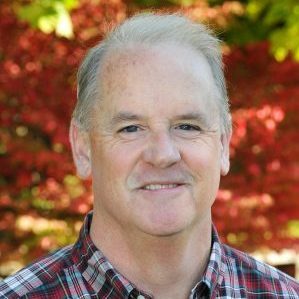 He is currently a member of the Washington State University College of Veterinary Medicine Feline Focus Task Force actively working toward improving the facilities and training to cater more toward the unique characteristics of cats. He enjoys spending as much time as possible with his veterinarian wife and two college-age children. He is an avid photographer who also participates in a weekly curling league and likes to spend summer weekends hiking and camping. Dr. Paul DeMaris grew up locally in Seattle, WA. Due to Paul’s sincere passion for both animals and science he knew early on that he wanted to pursue a career in veterinary medicine! After graduating from vet school in 1987 and working for just a few years in the veterinary field, Dr DeMaris knew he wanted to build his own practice, based on his own values. He wanted to be able to employ caring and compassionate staff that truly loved animals as much as he did! Therefore, in 1990 Dr DeMaris moved to Snohomish and purchased Alpine View Veterinary Hospital. When Dr. DeMaris is away from AVVH, he and his wife Barb enjoy spending time with their four children. Their family also has two spoiled and well-loved labs, Roxy and Zeke and a couple of funny, crazy kitties, Gus and Lucy. Dr DeMaris also enjoys playing basketball and hiking. 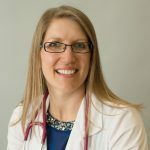 Originally from Wisconsin, Dr. Koenig graduated from Iowa State University’s College of Veterinary Medicine and earned her Doctor of Veterinary Medicine in 2006. Upon graduation she completed an equine internship in Scottsdale, Arizona and then relocated to the Snohomish area where she practiced equine medicine for an additional year before changing to companion animal practice. Dr. Koenig practiced small animal medicine for six years and then became partner at Snohomish Station Animal Hospital in 2015. She enjoys snuggling with her two dogs, Booker and Monkey, hiking, photography, motorcycle riding and horseback riding. 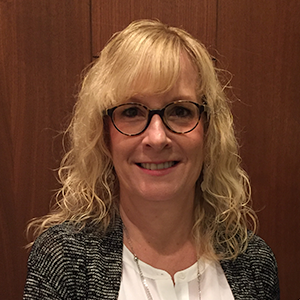 Ms. Joy joined WSVMA as Executive VP in 2002 following a successful 17-year career in business. Ms. Joy had a strong desire to align her heart with the work and working in non-profit was the best way to do that. A career change followed. 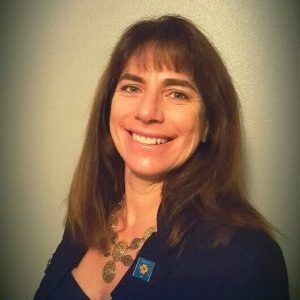 “I had the wonderful fortune to be hired by the WSVMA,” Ms. Joy commented, “which not only allowed me to bring my heart into my work in a much greater capacity, but also to blend my love for animals and the wonderful people who care for them.” She is past president of Veterinary Medical Association Executives and currently serves on AVMA’s State Advocacy Committee. Ms. Joy enjoys hiking, boating, travel, the arts, and spending time with her daughter, son and her cats Pookie and Weezie. improve veterinary medicine and the lives of those touched by it.